Cliff May of the Foundation for the Defense of Democracies is always worth reading, never more so than in his syndicated column today (oops, it’s after midnight, I mean yesterday). Kagan puts this into historical context, noting that there is no international consensus on the optimal form of governance. On the contrary, “the struggle between liberalism and autocracy has endured since the Enlightenment.” It was not settled by World War I or World War II or by the Cold War. 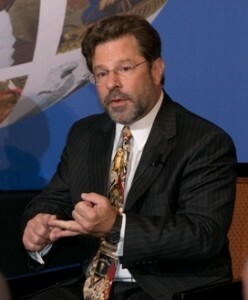 Those who rule Russia, as well as those who rule China, Iran, Syria, and many other nations are committed to maintaining strong central governments, “managing” their populations through coercion, harassment, imprisonment, and when necessary — or even just convenient — murder, as well as maximizing power on the world stage through whatever means are available. “The modern liberal mind,” Kagan argues, “may not appreciate the enduring appeal of autocracy in this globalized world.” But autocrats, he adds, really do “believe in autocracy. They see it as a superior form of government. As have rulers and prominent political thinkers going back to Plato and Aristotle, they regard democracy as the rule of the licentious, greedy, and ignorant mob,” which renders it inherently weak, unstable, and chaotic. Recent events, not only in modern Greece, no doubt reinforce this view. Much as we might wish otherwise, the ideal of an “international community” that embraces peace, freedom, human and civil rights, tolerance, democracy, and the rule of law as universal values is a fiction, a fantasy, a pipe dream. Quick reaction on my lunch break: We won. Obviously it was Bush who (eventually) found the winning strategy, but Obama deserves props for staying the course. I still find it astonishing and inconsistent that Mr. Nobel Peace Prize entered a war of choice in Libya. But as VDH said, “the only thing worse than starting a stupid war is losing it,” and it looks like there is no further danger of losing to Gaddafi. 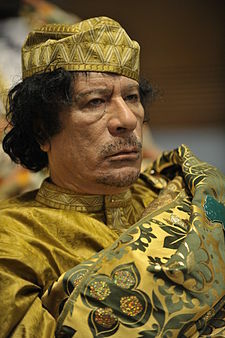 Qaddafi’s inglorious end sends … a powerful reminder that, try as they might, the region’s despots cannot through blood and brutality forever hold off history’s harsh judgement. Assad’s head will rest far less easy tonight. The morale of the Syrian people will receive a much-needed boost to endure the difficult days that no doubt still lie ahead. And perhaps most importantly, the hard men around Assad who have continued to do his dirty work, will have new cause to save their own skins by reassessing their misguided loyalties to a leader who is dragging them and their community ever closer to catastrophe. With a strategic stake in Syria’s fate that dwarfs our interests in Libya, the United States would be well advised to exploit the openings created by Qaddafi’s terminus to re-energize the effort to depose Assad, short-circuit the civil war that he is struggling mightily to ignite, and deliver a crippling blow to the Iranian terror machine that so threatens our interests and those of our allies. If the Great Arab Revolt — “Arab Spring” is a hopeful, not descriptive term — ends up only removing Qaddafi and, from neighboring Egypt, Hosni Mubarak, a despot who was, nonetheless, a reasonably pliant client of the U.S., and if Iran’s theocrats remain in power and manage to save the Assad dynasty in Syria while continuing to use Hezbollah to control Lebanon and sponsoring Hamas in Gaza, the lesson will be clear: It is more dangerous to be America’s ally than its enemy. Such a lesson will carry long-term strategic consequences. If there are strategic planners in the current administration, now would be a good time for them to start worrying. Is the glass half full or half empty? The answer is “yes.” Welcome to the geopolitics of the Middle East. I try to learn something new every day. On Friday I learned that in Madison, NJ, the fine for driving with an expired registration is $54. Now, I’m a rule-of-law kinda guy. Sometimes civil disobedience can be warranted, but generally speaking, I believe laws should be obeyed. Bad laws should be changed, not broken. A failure to enforce any law leads to diminished respect for all laws. I reflected on this (not the baseball part) at the end of my morning commute Friday, after a Madison police officer rolled to a stop behind me in the parking lot where I work, blocking me in. I had seen the black-and-white SUV a mile earlier, parked in a driveway, pointed outward, watching the traffic go by. I checked my speed, slowed down slightly, and kept cruising toward work. The sergeant told me my registration was expired, and asked to see my credentials. I pulled the paperwork out of my glove compartment and looked at the registration. Ha! It expired at the end of September — only two weeks ago that day! I can talk my way out of this! I’m starting to make that case to him and I hear him say, “if it were a day or two, I could let it go, but two weeks, I’ve got to give you a ticket.” Oh. I felt the time-space continuum snap into a different shape. I imagined I was outside myself watching this on TV. There were lots of cars going in and out of the parking lot, people looking at me — I made a point of smiling bravely. One of my co-workers walked by, and I asked her to send a search party if I’m not in the office in half an hour. Just hangin’ out here, having a chuckle with my homies in uniform. There was even a kind of good-cop, bad-cop dynamic. The sergeant said he could write me up for “Failure to exhibit D.L. or Reg,” which sounds like the same thing but carries a $180 fine, but he wasn’t going to do that. The patrolman walked over from his cruiser, handed my license to the sergeant and said “no wants or warrants — you’re not going to have him towed, right Sarge?” Naw. 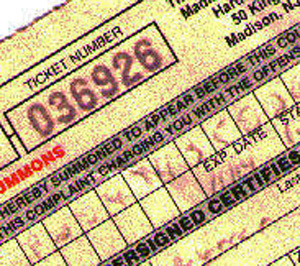 The sergeant told me I have the right to contest the summons, and showed me the relevant court date on the ticket. Hm… should I try to take it to court, given that I’m, like, obviously guilty and stuff? “It’s really important to keep your registration current,” he said. Yes, I gathered that. I paid it online as soon as I got home. When the sergeant handed me back my credentials, I shook his hand and thanked him for his service. Cleveland, where the Cuyahoga River once caught fire, is a pioneer in what seems to be a productive method for dealing with the wave of foreclosures that have blighted that city and many others. The land bank program described by the Washington Post today involves cooperation between government, non-profits and banks, to the benefit of all parties. A handful of the nation’s largest banks have begun giving away scores of properties that are abandoned or otherwise at risk of languishing indefinitely and further dragging down already depressed neighborhoods. The banks have even been footing the bill for the demolitions — as much as $7,500 a pop. Four years into the housing crisis, the ongoing expense of upkeep and taxes, along with costly code violations and the price of marketing the properties, has saddled banks with a heavy burden. 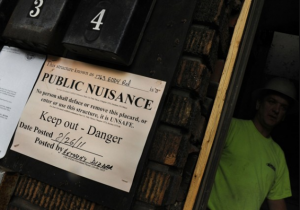 It often has become cheaper to knock down decaying homes no one wants. Two things about this warm my capitalist heart. One of them is described in the article. Instead of the aimless juvenile antics of the Occupy Wall Street crowd, the land bank program enlists the banks that helped create the mess in the effort to clean it up. Cleveland has found progress in the sliver of common ground between the land bank’s mission and the interest of financial firms, including some that helped fuel the housing crisis through risky loans and later botched paperwork in carrying out foreclosures across the country. This collaboration was uncomfortable at first, said Gus Frangos, the Cuyahoga land bank’s president and one of the people behind the state law. After countless meetings, however, land bank officials and banking representatives shed their initial wariness of one another. Frangos made a simple pitch: We’re not here to point fingers. We’ll take your worst properties, the ones not worth keeping. Pony up for the demolition, and you’ll still come out ahead. Just don’t walk away from them. And in the process, construction — or destruction 🙂 — workers are employed who otherwise might be idle. 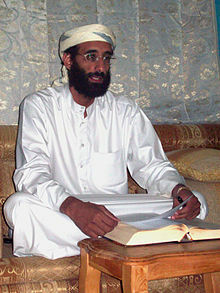 The al-Awlaki Killing Crossed a Line. Bravo, Mr. President. As a frequent critic of President Obama, I feel duty-bound to have his back when he gets something right. Obama has been criticized from both the left and the right over the killing of Anwar al-Awlaki, a treasonous American citizen killed by a drone-fired missile in Yemen. But in addition to being a tactical victory, that operation is a welcome reminder that the President understands we are at war. Or at least, on some days he understands it. Occasionally his “I’m-not-Bush” compulsions overwhelm his commander-in-chiefness, as when he pre-announces a retreat while announcing a surge, or when he floats the indefensible idea of trying Khalid Sheikh Mohammed a few hundred yards away from Ground Zero. But eventually he backed off both of those bad ideas, as well as his grand-standing promise to close Guantanamo. On a more positive note, the take-down of Osama bin Laden was a gutsy call and a genuine triumph for the Obama presidency. Something big and possibly dangerous has happened . . . in secret. Government’s most awesome power — to take a life — has been exercised on one of its own citizens without benefit of trial. A guy named Barron and another named Lederman apparently said it was okay. Maybe it was. But I’d sure like to hear the attorney general or the president explain why. Two thoughts: I’d like to hear that explanation as well, but I’m not holding my breath during an election campaign. And, somehow I’m pretty confident that these two “guys” in the Justice Department, who apparently drafted a legal memo supporting the legality of killing al-Awlaki, will not end up demonized in anything like the manner of John Yoo. I voted against Mr. Obama, and intend to do so again, but from the start I’ve been looking for silver linings in his presidency. Here’s one: Taken as a whole, the Obama presidency is tugging America in the direction of bipartisan support for the war against Islamic fascism. America may become safer as a result. 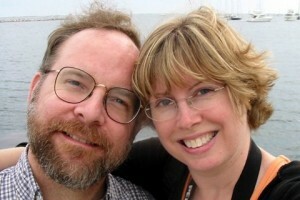 Eleven years ago today, on a perfect sunny autumn afternoon, the Web Goddess and I were married at St. George’s Church. The first time I sang to her was a couple of years before that. Everything will bring a chain of love. And tell me everything is gonna be alright. And you’re the answer to my prayers from up above. My favorite line may be the one in the headline. Much of the rest of the Dead’s Sugar Magnolia is wholly unsuitable for this purpose, but that line works. Our first date was in the summer, and the relationship kindled that evening has sustained me through every change of season. Happy anniversary, Sweetie. I love you. 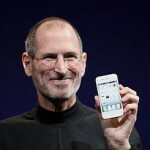 Jobs was sometimes criticized for not being a philanthropist along the lines of Bill Gates. … Mr. Jobs’s contribution to the world is Apple and its products, along with Pixar and his other enterprises, his 338 patented inventions — his work — not some Steve Jobs Memorial Foundation for Giving Stuff to Poor People in Exotic Lands and Making Me Feel Good About Myself. Because he already did that: He gave them better computers, better telephones, better music players, etc. In a lot of cases, he gave them better jobs, too. Did he do it because he was a nice guy, or because he was greedy, or because he was a maniacally single-minded competitor who got up every morning possessed by an unspeakable rage to strangle his rivals? The beauty of capitalism — the beauty of the iPhone world as opposed to the world of politics — is that that question does not matter one little bit. Whatever drove Jobs, it drove him to create superior products, better stuff at better prices. Profits are not deductions from the sum of the public good, but the real measure of the social value a firm creates. Those who talk about the horror of putting profits over people make no sense at all. The phrase is without intellectual content. Perhaps you do not think that Apple, or Goldman Sachs, or a professional sports enterprise, or an internet pornographer actually creates much social value; but markets are very democratic — everybody gets to decide for himself what he values. That is not the final answer to every question, because economic answers can only satisfy economic questions. But the range of questions requiring economic answers is very broad. 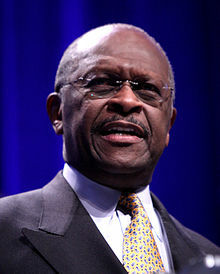 What does it mean that Herman Cain, a black candidate for President, overwhelmingly won the recent Florida straw poll with Tea Party support? Why, it means the Tea Party is racist, of course. Just ask Janeane Garofalo. Garofalo, a comedian, C-list actress and wanna-be pundit, appeared on “Countdown with Keith Olbermann,” a nightly smarm-fest that landed on something called Current TV after Olbermann was fired by MSNBC. Janeane Garofalo: “Herman Cain is probably well liked by some of the Republicans because it hides the racist elements of the Republican party. Conservative movement and tea party movement, one in the same. Cain’s showing continues a pattern of Tea Party support for black Republicans. 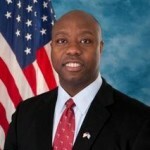 In 2010 the Tea Party helped elect two black candidates to the House of Representatives: Allen West of Florida and Tim Scott of South Carolina. 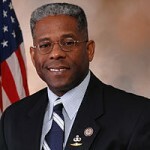 Anyone seeking to accuse the Tea Party of racism is invited to explain it first to Rep. West and Rep. Scott. In a white-majority country that has already elected a black president, it’s getting harder and harder to take racism charges seriously. The Left’s “Tea Party Racism” meme is not just lazy and false; it is corrupt. By reflexively leveling racism charges, the Left elevates a factor that should be irrelevant into a wedge issue, and sets back the very cause it supposedly supports.